Amlant - complex medicine for the treatment of hyperacidity and related diseases of the gastrointestinal tract. Amlant protects and increases the tone of mucous membranes of the stomach and duodenum, making them resistant to acid. Thus, it prevents and promotes healing of existing ulcers. Amlant calms Pitta and Vata dosha and may increase Kapha. Indications: hyperacidity, gastritis, gastric and duodenal ulcer. Composition: Zingiber officinale, Piper longum, Piper nigrum, Terminalia chebula, Terminalia bellerica, Cyperus rotundus, Cinnamomum Ruthie, Elettaria cardamomum, Embelia ribes, Emblica officinalis, Syzygium arumaticum, Operculina turpethum, Glycyrrhiza glabra, carbonas Sodi, Potassi nitras, Amoni chloridum, Potassi aluminum sulphate, Saccharum officinarum. Dosage: 1-2 tablets twice a day after meals. 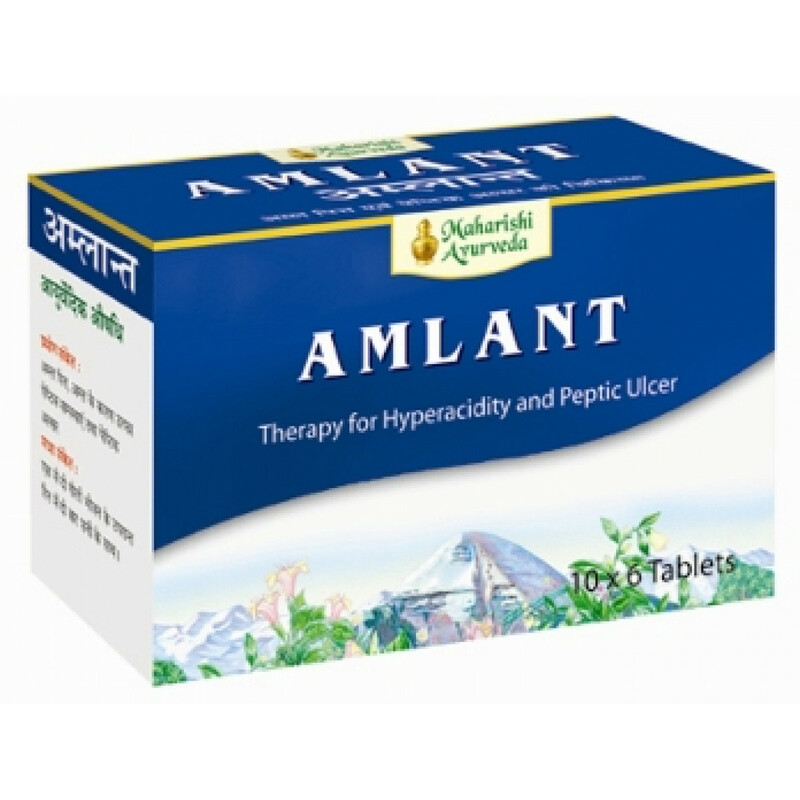 Original name: Amlant Maharishi Ayurveda. In our store You can buy authentic Amlant Maharishi Ayurveda at a bargain price!